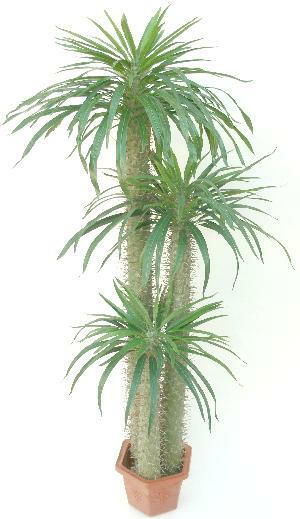 Green topiaries we carry below are decorated with artificial silk ivy, they look natural and real. Prices include shipping and handling fees for shipping address within the mainland United States. 64" star ivy cone & ball shaped artificial topiary, 2182 leaves on iron center frame with finial, wooden potted. 64" triple ball star ivy artificial topiary, 2266 leaves on iron center frame with finial, wooden potted. Item# T5425 72" star ivy mixed with boxwood leaves artificial topiary in pyramid tower shape with pot, 1500 boxwood and 1300 ivy leaves. 52" triple ball artificial Pittsburgh Ivy on iron center frame with finial, wooden potted. 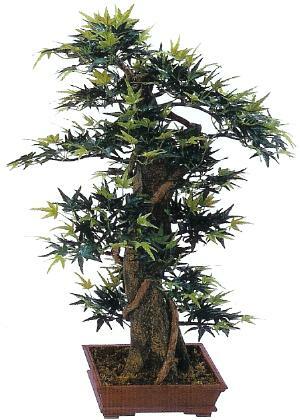 Description: 33"(H) Mini Maple Artificial Topiary in pot. 52"(H) cone ball artificial ivy topiary with natural trunk in pot. 57" Ivy 1224 Leaves triple ball Artificial Topiary. 57" Lotus 1080 Leaves triple ball Artificial Topiary in pot. 57"(H) triple ball artificial ivy topiary with natural trunk in wooden pot. 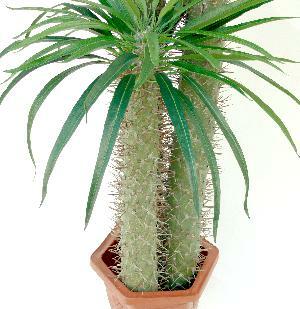 Item# MC14255 68" 3 trunks, big spine Mexican cactus with 254 leaves, comes with in a hexagon pot. Fogger fountain sales! Up to 20% off our low prices! Unique gift for the season! Click Smoking Water Fountain logo below for more.